← Off the Island, On the Water: Key West Sunset Sail! When I count up the states I’ve called home – PA, OR, MD, NM, MT, MI, WV, ME, VA – I don’t usually count Florida, though I lived there for four months, years ago, in another life. Back then my world revolved around horses and I went to Florida so I could ride and compete all winter, in the company of great horse people. All day, everyday, from before sunup until well after sundown, I mucked stalls, cleaned tack, exercised horses, walked hots, for no pay. In exchange I got to train for 3-day eventing, the triathlon of the horse world: dressage, cross-country and stadium jumping. Me & Dakota practicing stadium. That horse could fly! Funny what I remember about those months. I remember the horses. I remember the events. I remember the sensation of soaring over jumps, those great big glorious jumps. 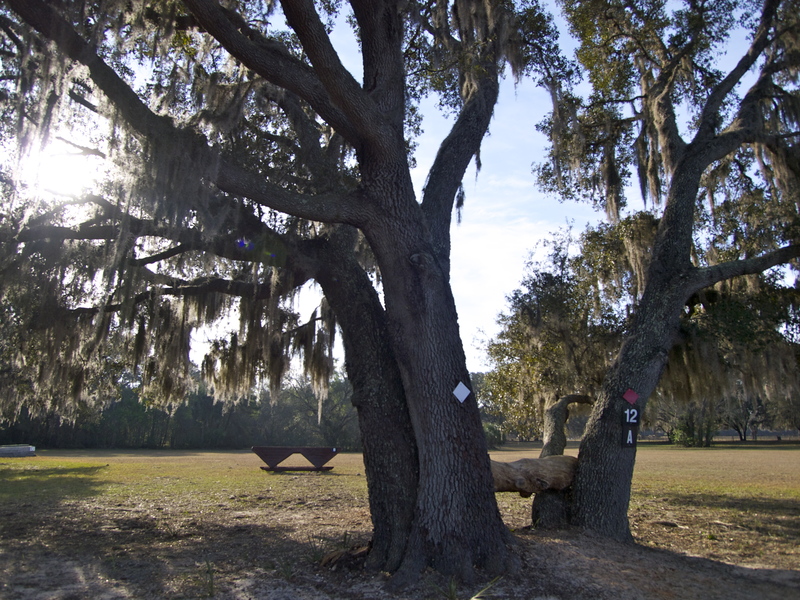 I remember the farm: huge open fields, dotted with massive trees, spangled with Spanish moss, surrounded by deep, mysterious Floridian jungle. And yet, somehow the whole experience seemed like a dream. 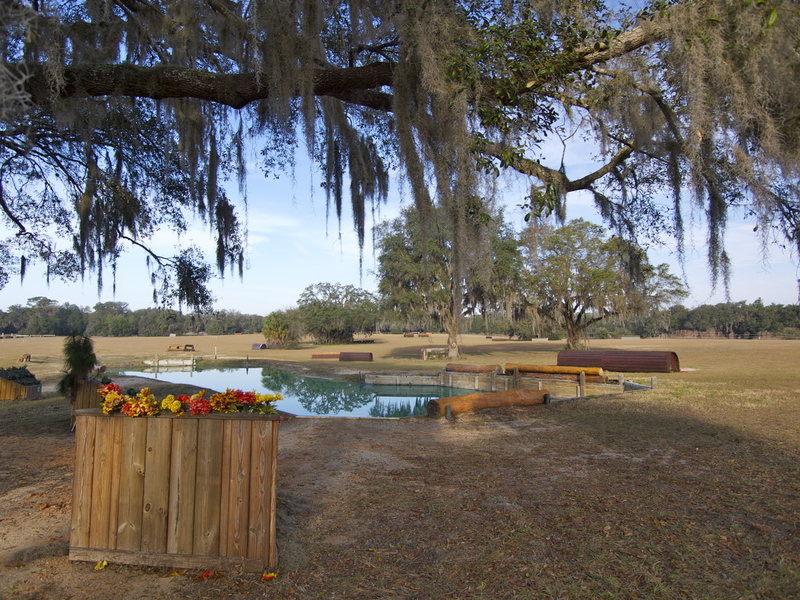 Scouring my Adventure Atlas, I couldn’t for the life of me remember where it was: I knew the farm was near Ocala, next to a National Forest, where we used to take long conditioning rides. But the name of the town and the name of the farm escaped me. On our way back north from the Florida Keys, I took a wild guess and steered the Metal Machine towards Ocala National Forest. As soon as we turned off highway 42 onto 19 at Altoona, going north, I said, I feel like I’m going to see that farm any second now. And around the next bend, there it was! Rocking Horse Stables, in all its 150-acre horsepark heaven glory. How could I forget such a place! 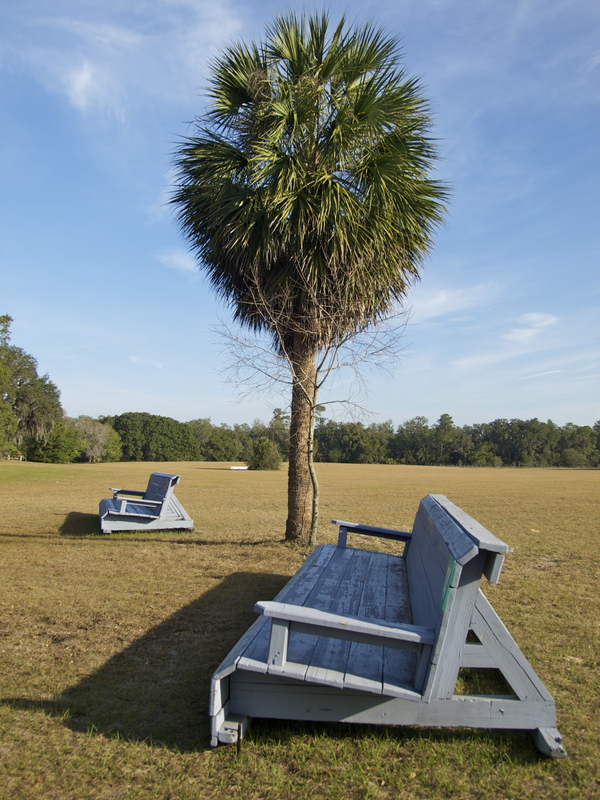 Big Benches. 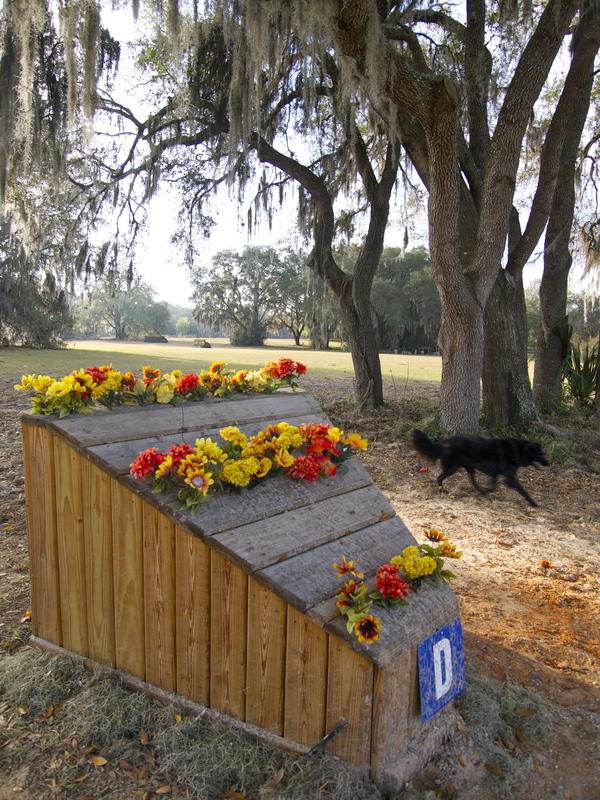 Two of the more than 100 cross-country jumps. So we slept in the car. 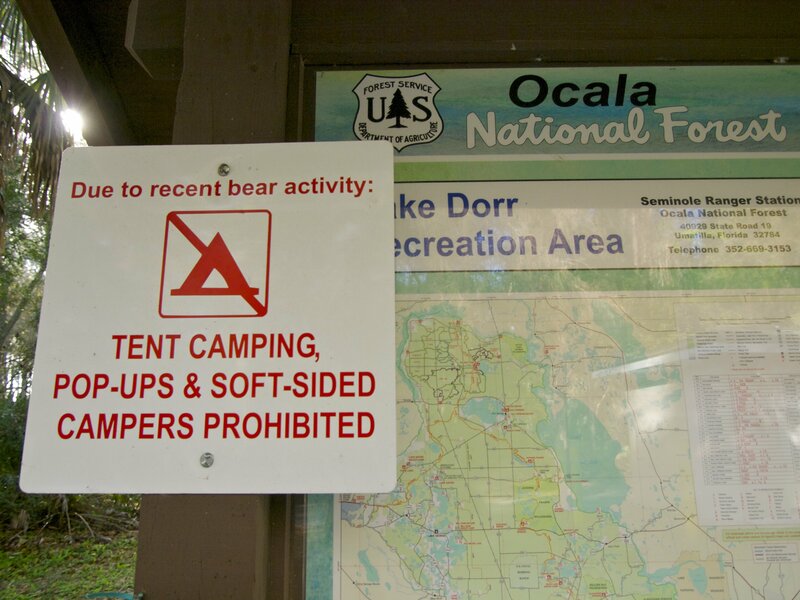 I didn’t remember bears being a problem when I lived here. But on that farm, we were in our own little world. I didn’t sleep well that night. I was anxious. Not about bears – I seldom worry about bears – but about revisiting Rocking Horse. What if the place triggered that old, painful yearning, centered in the middle of my back, where crunched bone and mangled discs had put an end to my riding career. Did I really want to open old scars? The next morning, we drove through the front gates of Rocking Horse and I went looking for somebody familiar. Soon I found Skip, who still ran the place and asked about Pam, my trainer. He told me she hadn’t been there in years, that last he heard she was fox hunting up in Pennsylvania. 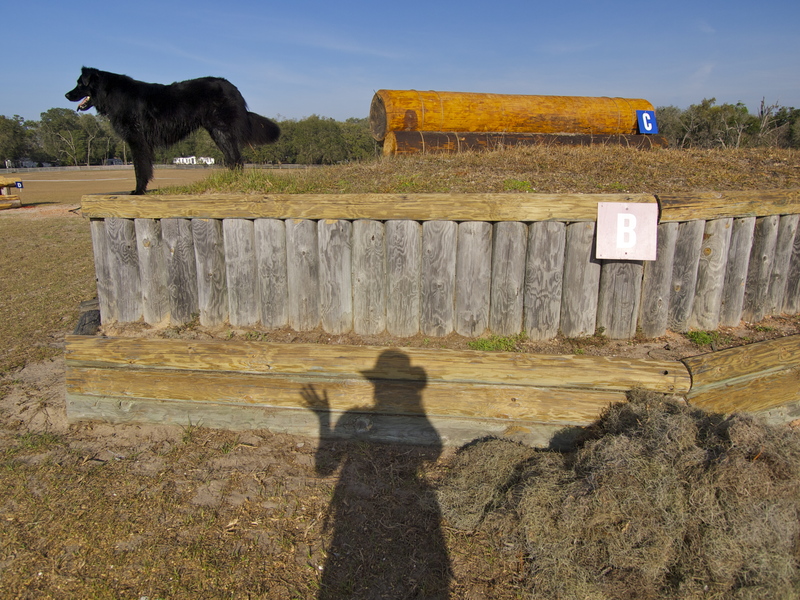 I asked if we could walk the cross-country course and he said, “You got legs don’t cha?” So we went for a walk. Revisiting that course from ground level was astonishing. I can’t believe I ever jumped over those obstacles! 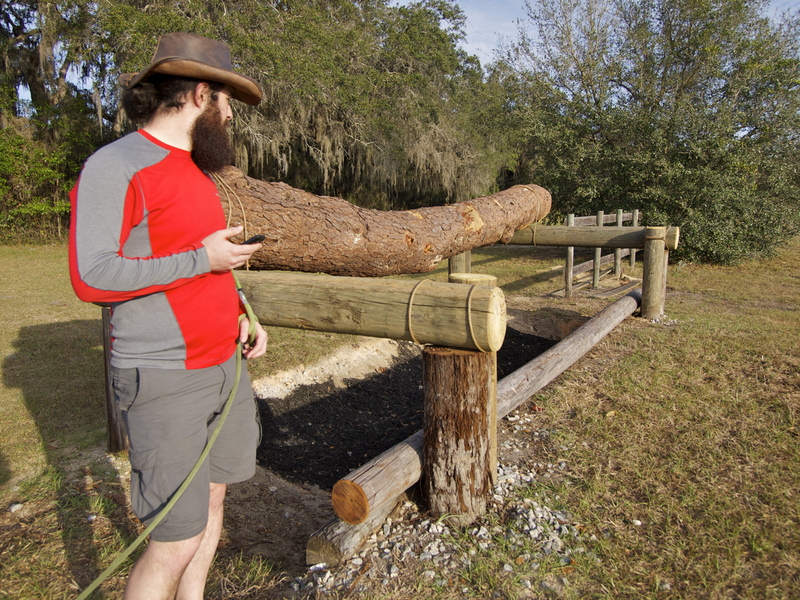 Drew had never seen a cross-country event course before and he was incredulous. Those jumps are huge and solid. And I used to fly over them at full tilt, on the back of a galloping horse, head up, heels down, grinning from ear to ear. When I broke my back and had to give up riding, it broke my heart. At 18, I could not imagine doing anything else. Horses were my life. I wallowed for years. But 13 years later, walking the course of my teenage dreams, all I felt was elation: I had done this and loved it and walked away, and found a new life, when that one came crashing down. That accident was the worst and the best thing that ever happened to me. Now 31 years old and an avid solo traveler, hiker and mountaineer, I know I would not be the explorer that I am without having survived that crash and the crushing depression of the aftermath. 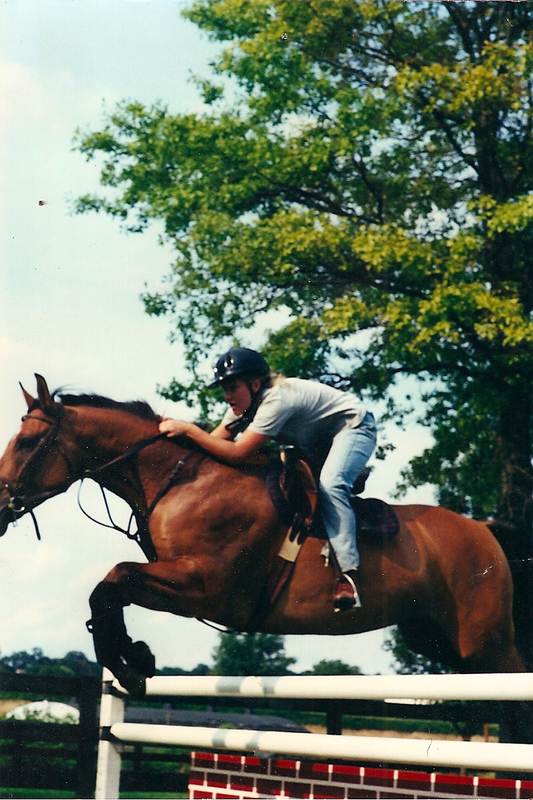 I am glad I am not still that girl, working hard as hell for free on a hot Florida horse farm. Sometimes opening old scars can set you free. Big Tree. This was my favorite jump. I’m glad it’s still there! Read more about my accident and the aftermath in my previous posts: Healing Horses, May You Boulders Be Your Blessings and The Suffer Fest. 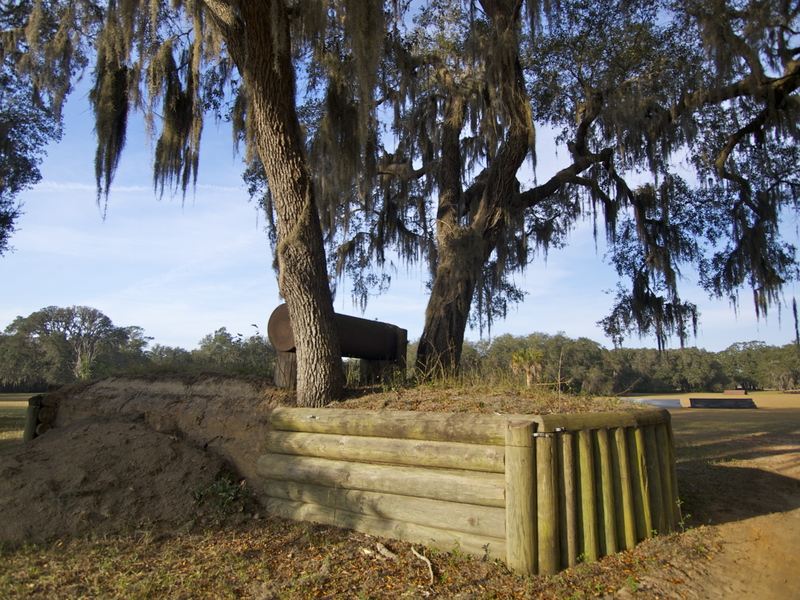 This entry was posted in Cowboys & Horses, Hiking!, Photography, Road tripping!, Sustainable Living, Uncategorized, Vagabonding 101 and tagged Altoona, Florida, Ocala National Forest, Rocking Horse Stables, Three Day Eventing. Bookmark the permalink. I rode for 15 years up until recently when my horse started to have health problems. After the blood, sweat and tears I put into training him it just wasn’t the same to ride other peoples’ horses. I’ve given up riding because of it, so I know how you felt walking away from something that was your whole world. 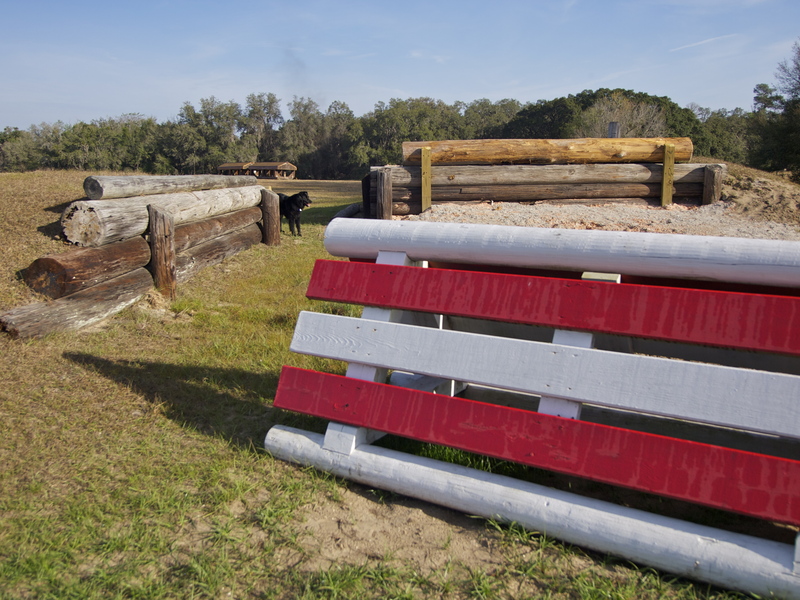 Maybe someday you’ll get back in the saddle…even if it isn’t throwing yourself at sky-high combinations and oxers. Happy trails!